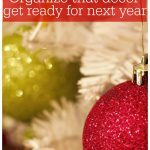 Every year my family comes to my house for Christmas, which means that I need to start planning early to make sure that everything is done and is perfect for the holiday. 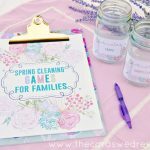 I want my family to feel cozy and welcome at my house when they visit, so I have come up with my own little Holiday Hosting Checklist of things I try to do each year to make sure that I’ve gone above and beyond as a hostess. Obviously cleaning and decorating your house is a must. Having great food and drinks, always. 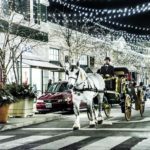 But what about the extra little things that really make your guests feel at home and in the holiday spirit? Here’s a list of simple ways to really impress your holiday guests and show them that you put a lot of thought into hosting for the holidays. 1. Make the guest rooms cozy. It goes without saying that your sheets should be clean for guests, but each Christmas Eve I make it a priority to launder all of our bedroom sheets. There’s something especially comforting about climbing into your bed with the smell of freshly washed sheets knowing Santa is coming that evening. 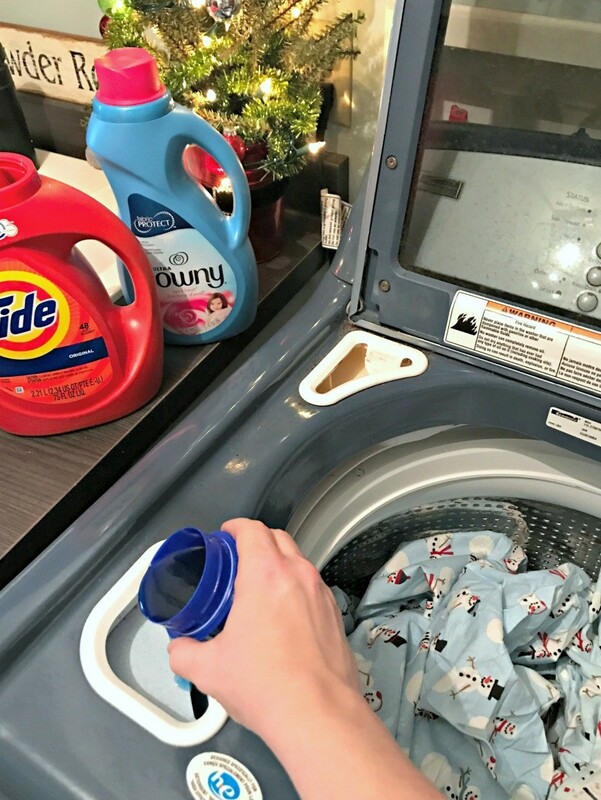 I love to use Tide Original and Downy Fabric Softener to make my bedding smell great. For the kids rooms and/or guest rooms, I enjoy buying holiday or winter themed sheets to really amp up the holiday spirit. I also try to decorate each room with a small Christmas item like a mini Christmas tree or some Christmas pillows on the bed. 2. Make your house smell amazing. 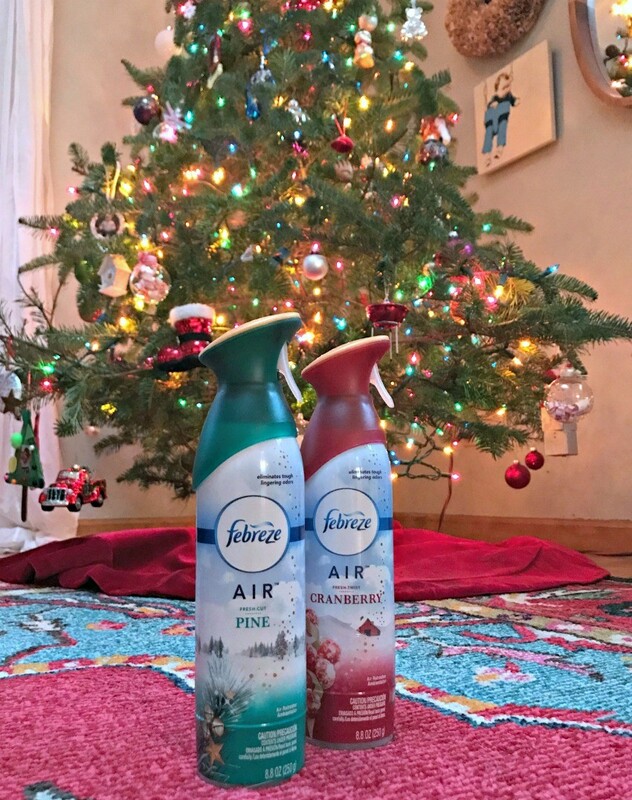 I like to use Febreze during the holidays in Pine and Cranberry to make my house smell extra Christmasy. I spray it about an hour before my guests arrive so that when they walk in the door it’s a great lingering smell in each room of the house. 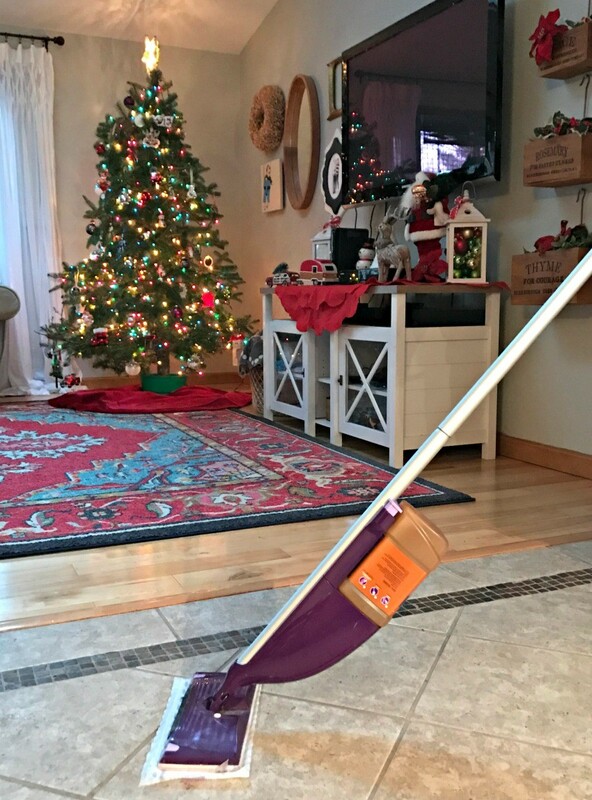 Spray the pine in and around the room where your Christmas tree sits! 3. Spoil your guests a bit. Consider setting out a little treat in the room that they’re staying in. Maybe it’s a bottle of Christmas lotion, maybe it’s a cozy blanket and slippers or a bottle of their favorite drink. You could even put a scented candle in their room with a little gift tag on it. HERE is a cute Santa Belly Coke Gift I’ve done before. 4. Set a sweet treat out. I like to set out a sweet and savory treat to snack on when they arrive. 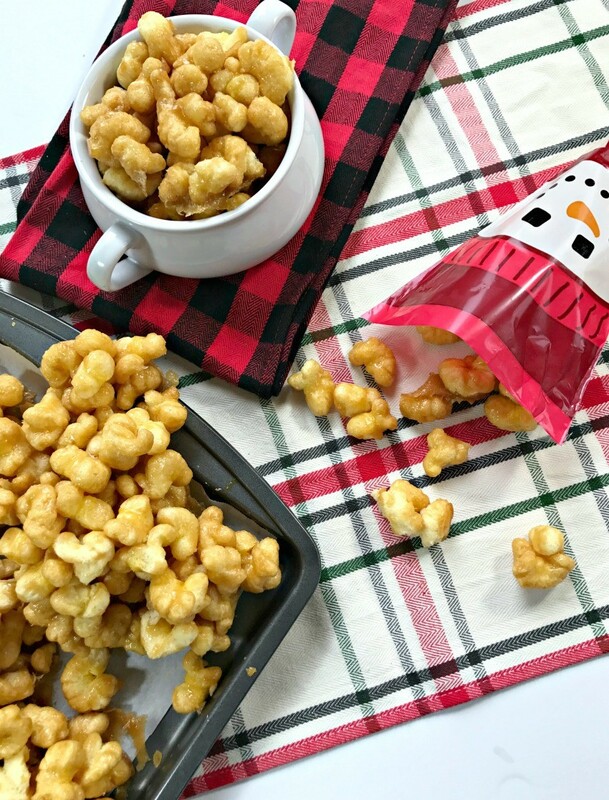 There’s nothing better than catching up on Christmas Eve with friends and some good food to snack on. 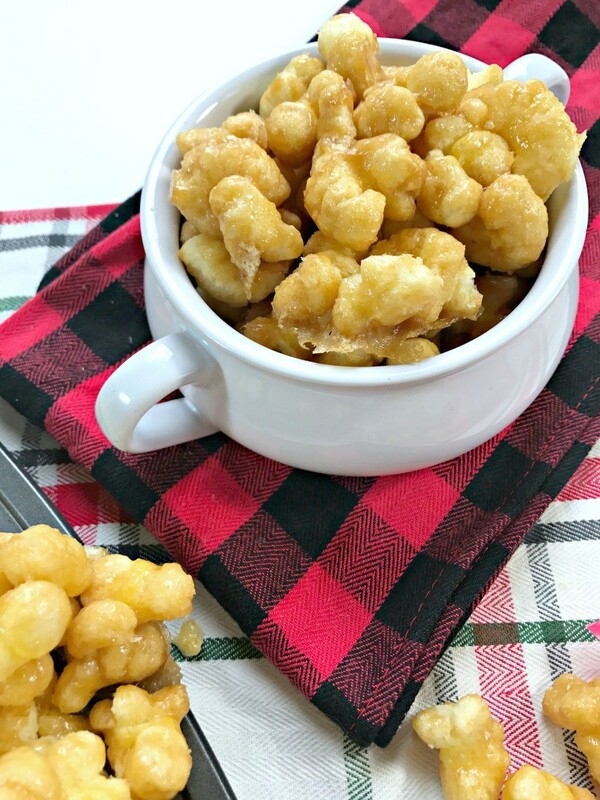 I like to make my Caramel Puff Corn for the holidays for Christmas Eve and to give to coworkers, friends, neighbors, and teachers. Make sure you have all of your bathroom items stocked up on for the holidays. Make sure you have your Charmin toilet paper, your Puffs tissues, and don’t forget the Bounty Paper Towels for cleaning the bathroom before guests arrive. I like to add some Christmasy hand soap and lotion, as well as special bathroom Christmas decorations. There’s nothing worse than running out of the essentials during Christmas! For me to get ALL of my holiday essentials, it takes a lot of time and planning. I decided this year to use Shipt, Meijer’s Home Delivery service, to help me prepare easier for the holidays. You can have all of your essentials delivered right to your door with Shipt. With same day service, Shipt helps save me much needed time while getting my home ready for holiday guests. 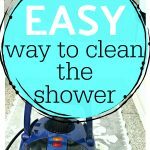 I order my favorite cleaning and home products like Bounty, Febreze and Swiffer to help me get ready for my guests arrivals. Even if you’re not hosting this holiday, you can use Meijer’s Home Delivery Service, shopped by Shipt, to get your every day favorite brands and holiday essentials. 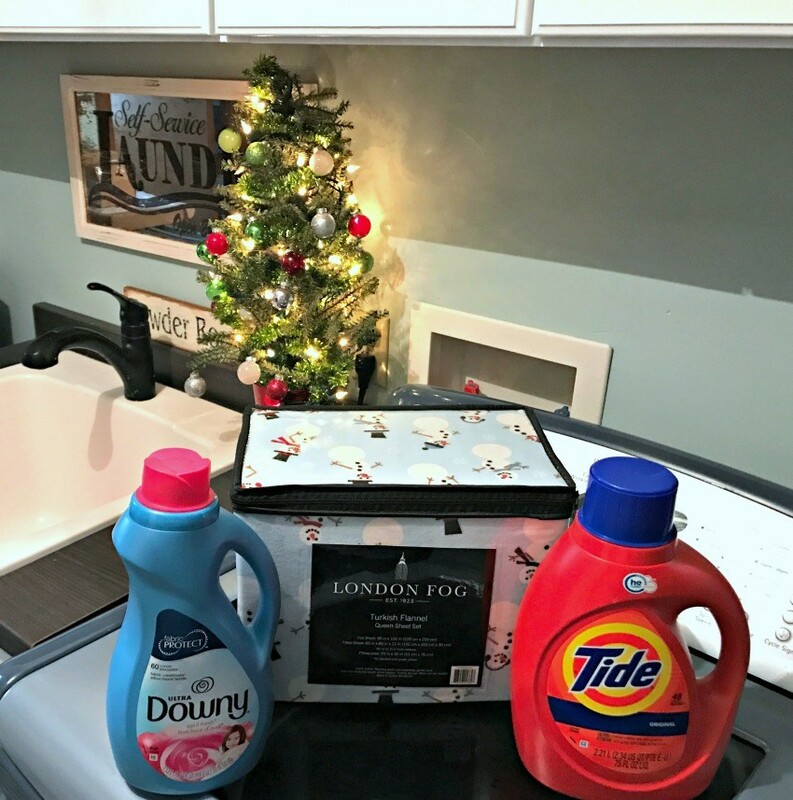 Get $5 credit when you spend $20 across these P&G brands from from 12/11 – 1/4 (Tide, Downy, Bounty, Charmin, Febreze, Swiffer, Puffs). Check out www.shipt.com/meijer for more details! For more information and to find a local Meijer near you using Shipt, check out www.shipt.com/meijer. Want to try Shipt? Here’s a Shipt Discount Code for my readers to get your first year for just $49 (normally $99!). Visit shipt.com/offer to redeem! Enter to win one of THREE FREE Shipt Memberships + One Lucky winner wins a $200 Meijer Gift Card! Enter below. My holidays plans are undecided this year. I need shipt because as a single mom I can’t always make it to the grocery store. I admire you, Lora! You definitely could use this. Even if you don’t win, treat yourself to a 50% off membership with the code above! Sounds like you could use it. I would spend more time playing with my son and dog and kitty! I would be crocheting, reading, and/or spending time with the family! All great ideas…thanks for stopping by! If I had extra time, I would spend it cuddling with my kids and watching Christmas movies! The BEST way to spend free time! I would crochet more with the time I saved using Shipt!! Great idea…I still want to learn how to crochet! What would I do with the time I save by using Shipt? Hmm…I’m usually in the grocery store for at least 30 minutes to an hour…so I’d take that time and take a long bubble bath with a glass of wine and a book. 🙂 That sounds like a productive way to spend that time…relaxing instead of stressing at the store!!! That sounds UH-MAZ-ING…I’m gonna take a page from your book! I always find time for shopping, Darla 😉 Thanks for stopping by! I would do more crafts! Wow, this is great! Also, your home is beautiful. I’m disabled, so Shipt would be awesome to help me get groceries when I can’t drive to the store. Meijer is great too. With my extra time I would love to actually sit down and start reading a new book, and have some time to do some holiday Christmas baking! Thank you for the chance.